A number of cooperative marketing opportunities are available throughout the calendar year for members to take advantage of. These range from providing products and/or services for famils/site inspections, to attendance at national and international trade shows. 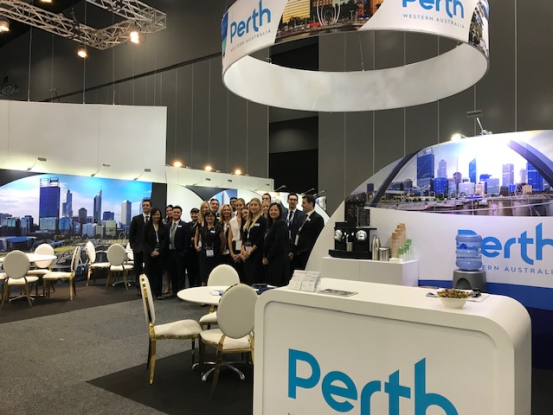 Perth Convention Bureau markets the State at a number of key trade shows both within Australia and internationally. PCB members have the opportunity to participate by purchasing booth space at these events. Trade shows are a great way to connect with a targeted audience and to leverage the significant marketing and logistical support provided by PCB. AIME (Asia Pacific Incentives and Meetings Expo) is the premier event in the Southern Hemisphere and takes place in February each year, facilitating face-to-face business meetings between over 800 exhibitors and more than 3,500 buyers including more than 600 qualified &apos;hosted&apos; buyers. PCB attends each year with its award-winning stand and a number of members representing a range of products and services in Western Australia. PCB participates in international trade shows and roadshows arranged by Tourism Australia. IMEX, which is held in Europe each year, attracts over 3,000 hosted buyers from some 57 countries, and PCB attends on the Tourism Australia stand. 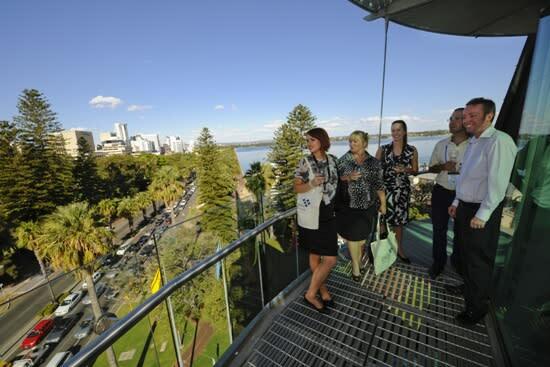 Perth Convention Bureau has been hosting familiarisations since its inception in 1972. These programs provide potential clients with ‘a taste of the destination’ and have proven to be a valuable conversion tool. Famils are hosted throughout the year within Perth and surrounds, with a further two famils to the South West and North West each year. Members wishing to participate and showcase their product to a targeted audience should contact PCB’s Executive Director Stakeholder Relations on +61 (0)8 9218 2925 to express interest. Clients wishing to be included in a forthcoming famil should express their interest by email to our Membership Manager. 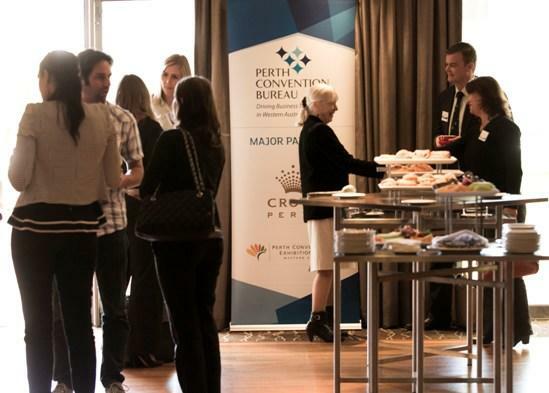 Perth Convention Bureau hosts a number of events throughout the year that may require sponsorship from a venue partner. These include a variety of networking events, educational sessions, Local Host Forums, Scholarship and Awards Workshops and presentations. These events present a great opportunity for venues to profile their premises to industry clients and potential buyers. Venue support is also a valuable cooperative marketing initiative when part of a site inspection request from our clients. Members will be contacted when such an opportunity arises. In the last financial year, Perth Convention Bureau’s members contributed over $120,000 in ‘in-kind’ industry support. This is the industry’s contribution to site inspections and familiarisation tours within the State. 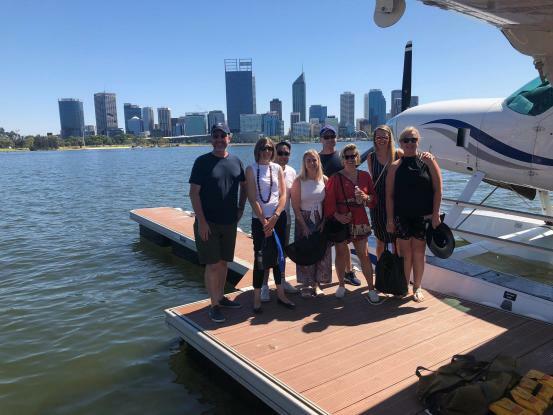 By bolstering the marketing contribution from its members, PCB is able to access significant funding to market Western Australia as a business events destination. By providing ‘in-kind’ support through hosting clients for accommodation, meals or services, PCB is able to enhance the client’s experience of the destination whilst showcasing our members’ products and services. 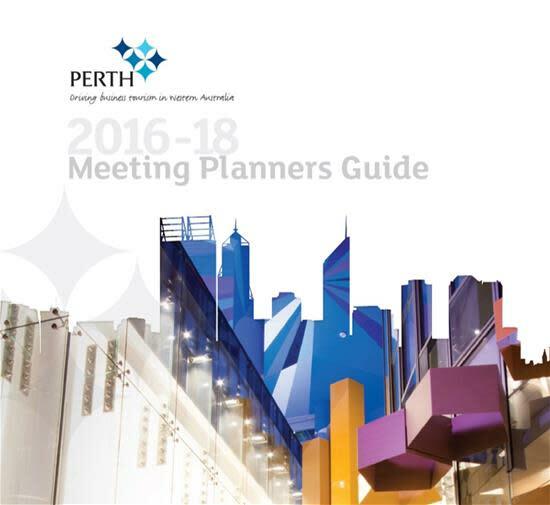 Perth Convention Bureau (PCB) publishes a Meeting Planners Guide (MPG) every two years which provides information about Perth and Western Australia (WA) as a convention destination. The MPG is an invaluable tool for meeting planners locally, nationally and around the world to access information about holding business events in WA. It is an essential resource which is widely distributed by PCB and its partners, targeted at those who plan, organise and make decisions on holding conferences, meetings, incentives and exhibitions. All PCB members at the time of production are featured in the MPG. The 2016-18 MPG is now available - if you would like a copy please contact PCB at +61 08 9218 2900 or email info@pcb.com.au.